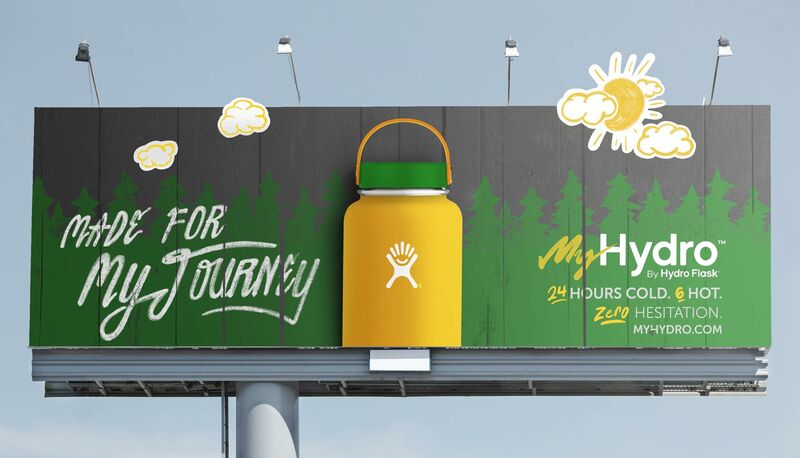 Hydroflask is a young company specializing in insulated canteens and growlers. Founded in 2009 out of Bend OR, they created their product out of pure necessity. They simply wanted something that would keep there drink cold no matter how long they were out in the wilderness, and their coffee hot during long ski sessions in the morning. 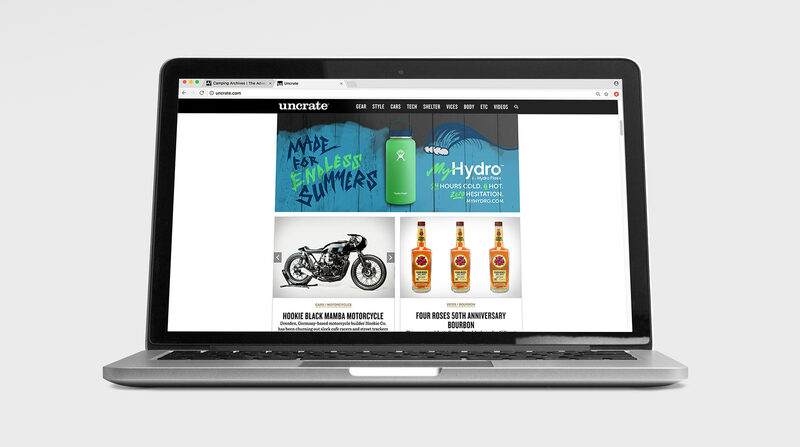 With a quality product, they have quickly grown into thousands of stores across the country, and have a unique advantage in the marketplace by offering a wide variety of personalization via their custom bottle builder. 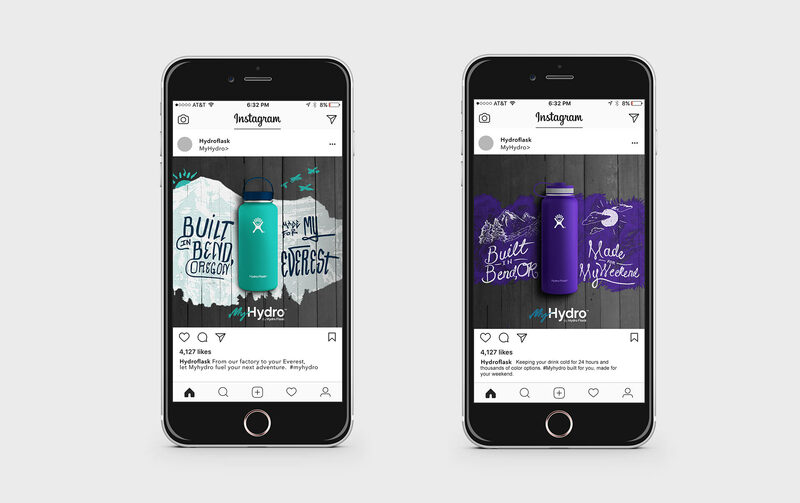 Hydroflask has not experienced as much growth with their custom bottle builder as expected, and need to push users to realize the level of customization they have on the platform. 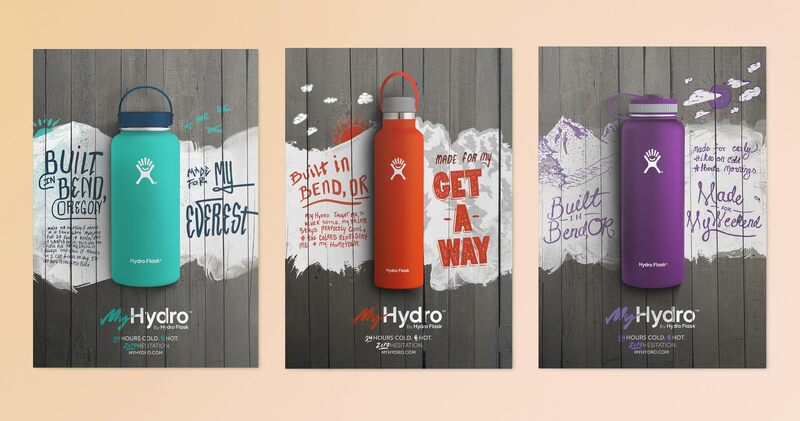 Hydroflask needs to clearly communicate how they will help with the customersʼ goal of a stronger self identity, and the proposed campaign aims to do just that. In order to best communicate to their wide range of users, unique typography and nature illustrations were drawn in order to speak less to the consumer at large, and more to the individual reading it. Simple copy allowed for key benefits to be communicated without compromising the personality of each bottle. Various printed and digital advertisements were created for the campaign. 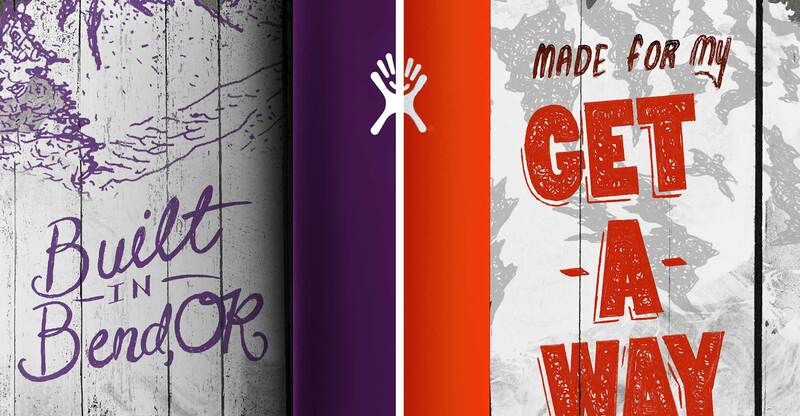 Printed posters were shown in and near specialty retailers carrying the product, like Whole Foods and REI. Billboards were adversely shown near hiking trails and key areas of traffic for nature related activities. 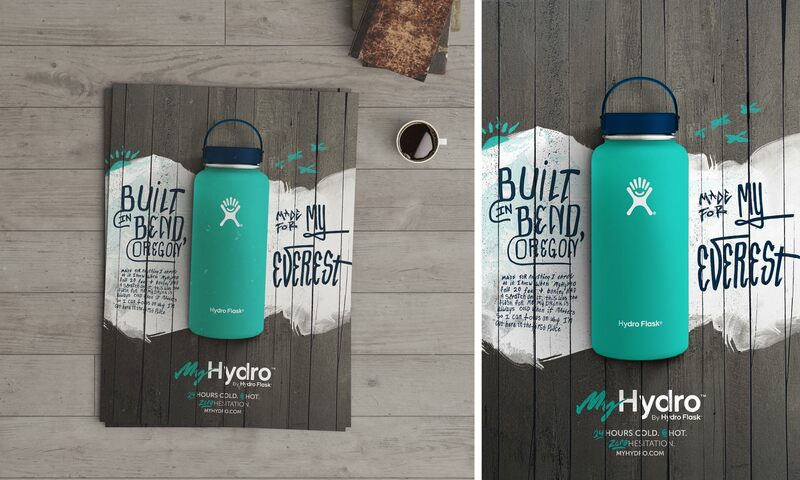 MyHydro has become a staple for Hydroflask. Their wide-spread ability to provide the perfectly customized bottle has only been expanding with more colors and custom options. May your coffee stay forever warm.